Why should e-commerce sit at the heart of a business’ digital transformation? How does e-commerce help drive digital transformation? B2B online buying once seemed like an alien and impersonal experience with minimal options and endless scrolling. These days however, with the introduction of more sophisticated features and functions, such as recommendations, filters and categories, the buying experience has completely changed. It’s not surprising therefore that the demand to buy B2B goods and services online has increased. 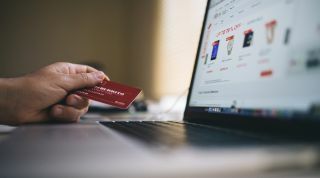 In a recent survey that we conducted with 300 global B2B organisations, 75 per cent of respondents said that their customers had demanded to buy online, and three quarters of those gave ‘ease of online purchasing’ as the reason. As e-commerce drives customer demand and vise-versa, businesses are being forced to change the way in which they sell their products and services to market or risk losing customers to competitors. Our survey found that over half of companies believe that web stores are the most important route to market with more than the 37 per cent putting sales representatives at the top of the list. Within the environment of growing online B2B sales channels, organisations are looking more broadly to technology to transform internal and external processes to ensure that they can meet market demands. As digital transformation gets underway - our survey found that 63 per cent of organisations have a digital transformation strategy in place - organisations have told us that putting e-commerce at the heart of digital transformation is key to staying competitive and retaining a loyal customer base. So how does e-commerce help drive digital transformation? According to 44 per cent of respondents it’s because e-commerce is responsible for delivering the customer experience, which in turn is important to business growth strategy. E-commerce lets customers buy the way that they want to, whether that’s ease of purchase (important to 72 per cent), the ability to easily search through an online catalogue (important to 52 per cent) or simply being able to see their order history online (important to 42 per cent). Secondly, customer demand has now gone beyond simply being able to buy online as buyers seek a more personalised buying experience. According to the research 87 per cent of respondents believe that e-commerce solutions are the answer to meeting customer needs by providing a personalised buying experience. By drawing on existing data that companies hold within their ERP systems, e-commerce solutions can be tailored to deliver additional information to help the customer make better buying decisions. Details such as past purchases, add-ons for products previously bought or even stock levels on products ordered regularly can be proactively pushed to the customer to help them. As a result, increasing customer satisfaction appears to be a main reason behind many businesses’ digital transformation strategies. Our research found that 88 per cent of businesses saw customer experience as important, and customer demand is the largest driver for IT infrastructure optimisation. As we continue into industry 4.0, customer demand and their experience will continue to evolve, and as such B2B organisations are having to adopt new technologies in a bid to deliver a more advanced experience. According to our research nearly 70 per cent of companies will use the Internet of Things or machine to machine technology to enable automated and/or predictive ordering for customers. While 67 per cent believe that virtual reality will help personalise the B2B buying experience and most surprisingly two thirds will start using driverless cars or drones for delivery. It’s not just technology that’s moving into a new era. The research found that organisations are actively upgrading their e-commerce platforms in order to support digital transformation – call it e-commerce 2.0 if you will. 76 per cent of B2B organisations are currently upgrading their first generation web store to a solution that is able to utilise existing data and provide the features demanded by customers. It’s clear that there is a growing need for businesses to put their web stores at the heart of future business growth plans with 72 per cent of businesses aiming to sell solely online in the future. As a result, businesses need to ensure they implement a solution that can be fully integrated within their existing infrastructures. As more B2B businesses upgrade their platforms and hone their digital strategy, online sales will continue to advance. Our research shows that despite the challenges, businesses at the forefront of the digital revolution are already reaping the benefits of their digital daring, and this is encouraging competitors to follow suit. Organisations putting e-commerce at the centre of their digital transformation project expect to achieve a clear ROI and, in many cases, will receive it in less than six months after implementation, according to our research. Respondents have experienced, on average, a 22 per cent increase in revenue growth since implementing their e-commerce solution and they expect it to continue to increase revenue by another 23 per cent within two years. 21 per cent of companies saw an increase in profitability and 91 per cent saw improvements to sales order process efficiency. The benefits of integrating an e-commerce solution with the rest of a business’s IT landscape might appear to be fairly obvious but placing it at the heart of a digital transformation strategy can have wider business benefits. According to our research 74 per cent of organisations said that e-commerce can reduce the cost of sale with savings being passed to the customer and 71 per cent of B2B businesses said they would be able to sell overseas using e-commerce. Organisations are going to considerable lengths to ensure that they keep up with technological developments. Yet these implementations need to be objectivised and have purpose. It’s clear from the research that businesses are already putting their e-commerce solutions at the heart of their digital transformation projects and those who do so are benefiting across the organisation. A strong e-commerce solution that uses data that already exists within an organisation is key to delivering a personalised and positive customer experience, by providing valuable insight into personal buying trends, past orders, supply chain insight, delivery times and charges. For those businesses operating within competitive markets the challenge isn’t solely about attracting new customers, but ensuring customers come back, and as competitors strengthen their online presence, it’s vital that businesses understand what they can do to stand out online.